It's been a bit quiet round here lately, which is largely due to the fact we've started the first stages of preparing for our move to the new library. Extra training means we've often not been at our usual post behind the issue desk, though some of our colleagues from the Kirkwall Library have been enjoying a taste of life in Stromness in our absence. With our move to the new building looking like it will happen early in 2015 we are keen to find ways of marking this momentous occasion. We came up with the idea of the 'New Chapter' project which will gather material for an exhibition celebrating the history of the old library, through stories, images, and archive material. 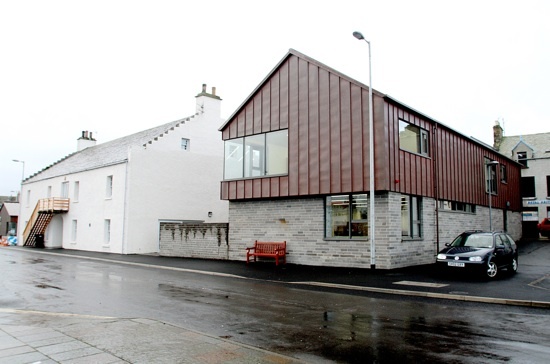 Of course the history of the library in Stromness, as with any library, is not just about the building, but is part of a wider community history which weaves together the stories of the people who have used and loved it. We would love to hear your stories and reflections on the library- perhaps you can still remember your favourite book you borrowed as a child? or have fond, or not so fond, memories of a particular librarian? can you help us name all the folk who lived in the upstairs flat? was there a library cat before Bubbles and Seamus? 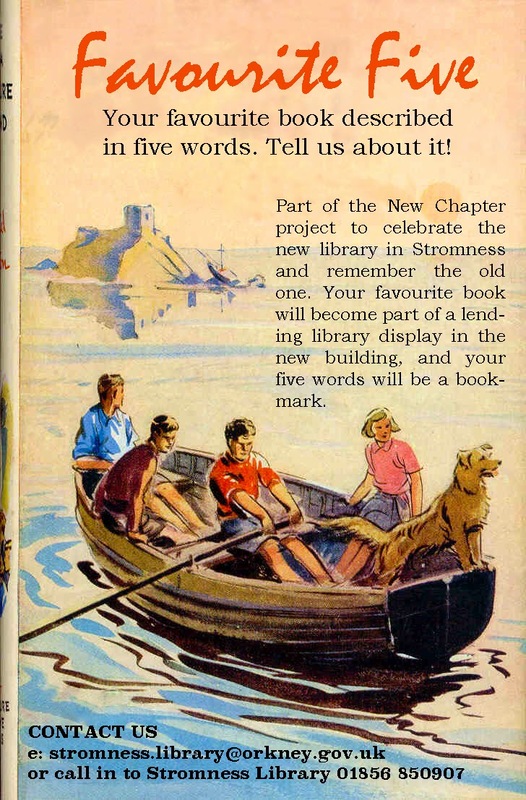 So do please get in touch either by emailing stromness.library@orkney.gov.uk, give us a ring on 01856 850907, or pop past the library for a yarn - be part of the next chapter in the Stromness Library story.